It’s not a topic doctors like to discuss publicly – which is one of the reasons incivility, bullying and other forms of unprofessional behaviour have persisted among physicians. To help turn the tide, University of Toronto Professor Sharon Straus and her colleagues recently reviewed the scope of the problem and combed the scientific literature for possible solutions. Straus (pictured right), a geriatrician at St. Michael’s Hospital and vice-chair, mentorship, equity and diversity in the department of medicine, spoke with writer Heidi Singer about what the research found. How common is incivility among physicians? The evidence shows when students and residents are in training, 60 per cent of people experience at least one incident of harassment. When physicians are surveyed, up to 98 per cent have experienced unprofessional behaviour. Most commonly, it comes from patients or their families. But it’s also perpetrated by co-workers and supervisors. It is unfortunately not an uncommon issue and has an impact on individuals. What is the impact on medical students and residents? When you experience unprofessional behaviour, it can lead to anxiety and depression and impacts workplace retention. Ultimately, it can impact patient care, as people are under stress. 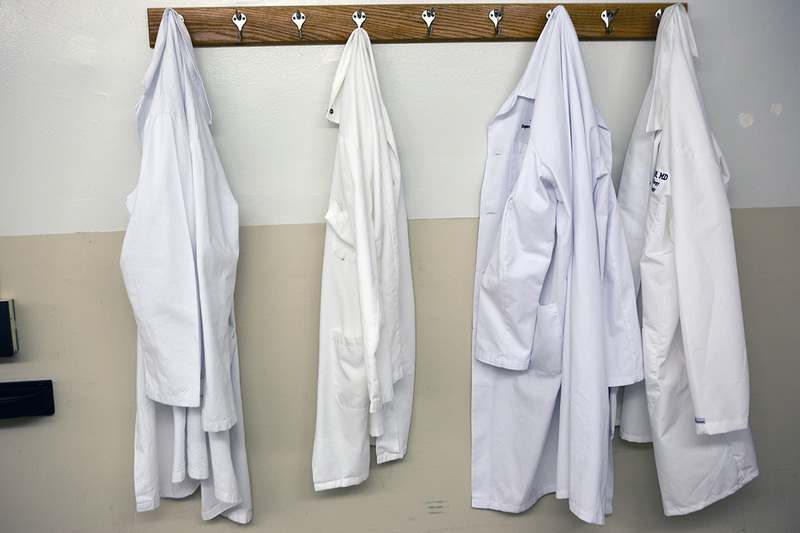 In an academic centre we have to worry about the role modelling that happens for trainees. When they witness or experience this, how does that impact their behaviour by seeing this behaviour go unchecked? This is what we call the "hidden curriculum." What are some ways to address this behaviour? We did a literature review and found 23 articles that were eligible for inclusion in our paper. Strategies mostly focused on targeting clinicians – generally by increasing awareness of unprofessional behaviour. But we know education is not sufficient to change behaviour. There wasn’t a lot of specific work on how we address the behaviour, particularly in ways that would lead to change. For example, only four studies targeted the organization. We have to address this behaviour on an institutional level – like making sure we have explicit transparent processes for victims of these behaviours to come forward. And institutions need clear timelines for addressing these issues, and support for remediation and rehabilitation for both the perpetrator and victim. Another institutional change is tying professionalism to awards and promotions. In the department of medicine over the last 18 months, we have made it a requirement that people have to have demonstrated professionalism to go forward for promotion or to pass their continuing faculty appointment review. This is critical. We also know from literature that if people are behaving unprofessionally and this is a new pattern, we have to ask, why the change? It’s a physician wellness issue. Have you experienced unprofessional behaviour in your career? When I was thinking of applying for geriatrics, I remember being told what a waste, why would I ever want to do that? Even as a trainee, I was being denigrated for choosing geriatric medicine. That’s probably one of the more gentle examples. Many of us have experienced comments because we’re women, like interviewing for a new job and right away being asked our age, marriage and family plans because of worries about how these might impact our job productivity. Do you think unprofessional behaviour is getting better or worse? That 60 per cent figure for trainees has been constant over many years. But I do agree people now are feeling more comfortable coming forward and talking about it. The #MeToo movement really highlighted how important it is to look at this, and how important this is to physician wellness and ultimately patient care. It sounds like there’s reason for optimism. Yes, over the last two years we’ve really been working to establish explicit and transparent processes in the hospitals and at the university – although we can always do a better job making clear what those processes are – and that there’s good communication between the hospitals and university.